Schools throughout the Malverne Union Free School District participated in the annual Making Strides Against Breast Cancer Walk fundraiser. 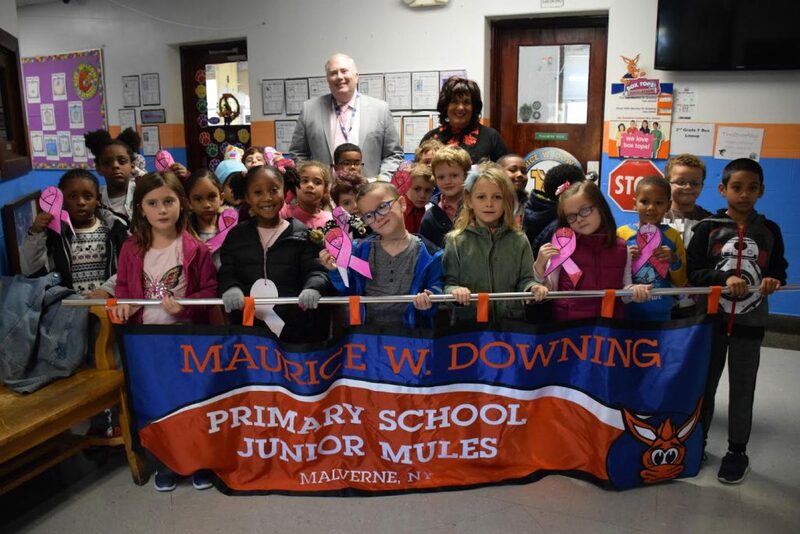 While some in the community signed up for the Making Strides of Long Island walk on Sunday, Oct. 21, Malverne High School hosted a walk for students and interested staff members on Oct. 18 on the track. Each of the schools raised money for the cause and Maurice W. Downing contributed more than $200. It held its own walk at the school on Oct. 18 to honor the fundraiser.